Captain Charles Young Adamson (Royal Scots Fusiliers) is killed in Greece at age 43. He played four football matches for Great Britain on their Australian tour in 1899, but never for England, his home country. 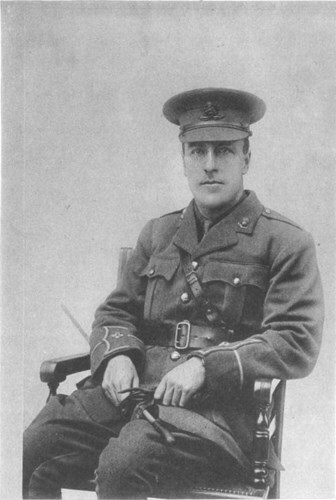 Lieutenant Oswald Massey Samson (Royal Garrison Artillery) dies of wounds at age 37. He is first class cricketer for Somerset from 1900 to 1013. Lieutenant Harold Toulmin MC (Loyal North Lancashire Regiment attached Royal Air Force) is killed in action at age 21 when his Sopwith Camel is shot down west of Bourlon Wood. He has previously served at Gallipoli and at Mesopotamia and lost a leg at the latter place and transferred to the Royal Flying Corps. Second Liuetennt Richard Frank Hill MC (Royal Air Force) dies of appendicitis at age 19. He is a 7-victory ace. Private Percy Sidney Doubleday (Essex Regiment) is killed at age 18. His brother was killed in April 1917. Private Andrew Hill Rule MM (King’s Own Scottish Borderers) is killed in action. His uncle was lost in the sinking of the troopship Ivernia in January 1917.